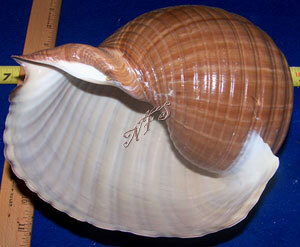 Tonna Cepa - Great for hermit crabs, collectors or crafts. Natural Polished Tonna Oleria Cepa - Great out on display for collectors or crafts. 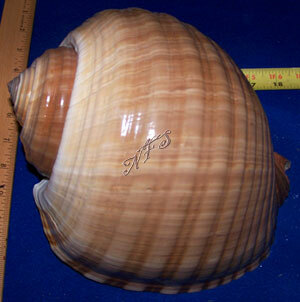 These beautiful shells come in various sizes.We only select the best quality shells for our customers. These are the best quality shells I have ever purchased. They were shipped fast and safe with no damage. Buy here with confidence! Thanks so much for your GREAT Service as always. What a great shell for display. The service and quality gets 5 thumbs up. Very cool shells. I would buy from again.